Have you ever seen one of these at an estate sale or antique store? 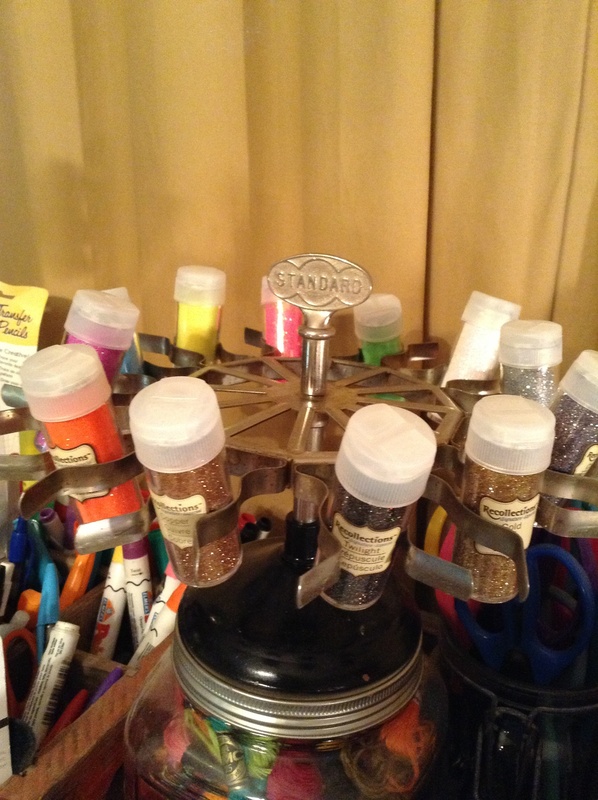 It’s a vintage stamp holder used for organizing rubber stamps, used in an office setting. 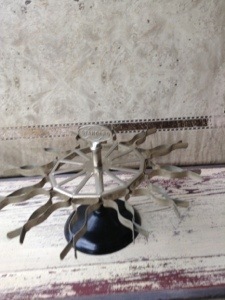 So cool…it even spins. It has metal pull apart fingers, to grip the handle of the stamps. I can just imagine a fast pace office clerk of yesteryear having one of these on her desk as she spins it around stamping and filing paperwork….so vintage chic! 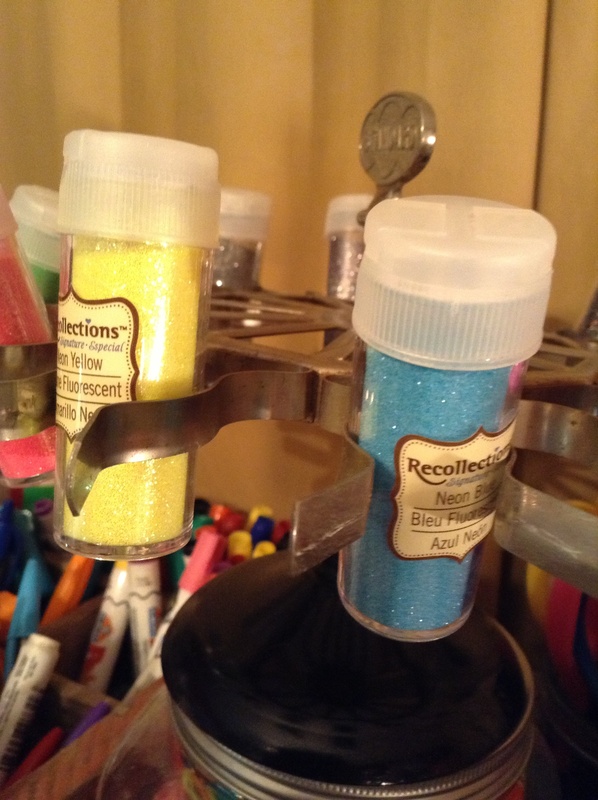 Then, one night as I reached into a cabinet to retrieve a tiny bottle of glitter for the hundredth time, a light bulb went off….a glitter spinner I would create. 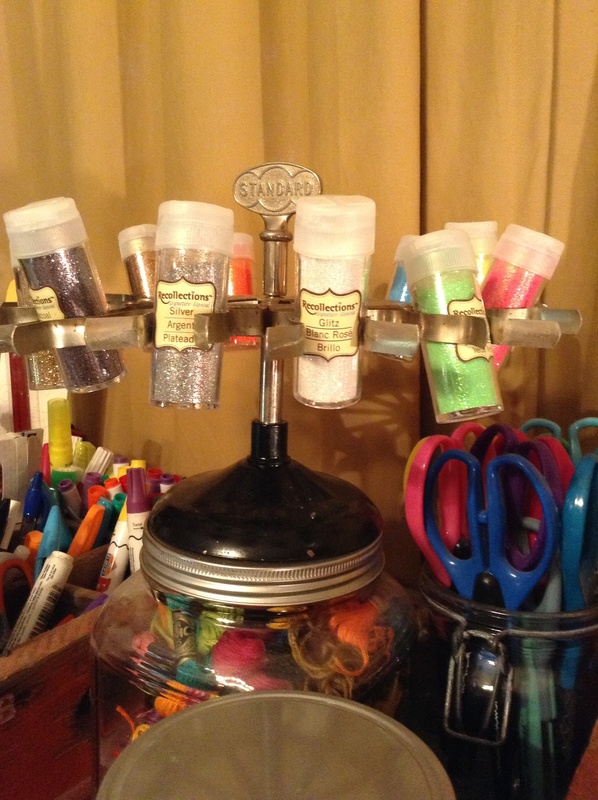 I mean how stinkin’ easy is this….the small bottles of glitter snapped perfectly into the metal grips. Cute, functional and stylish…I love it when I can re-purpose something from the past and make it into a functional and decorative piece. With a quick spin, all my glitter is at my finger tips.